Well, it seems that there is a new version for 2016 and it is MESH and that will also means it looks much better and there are some improvement over the old version. Kitty redeployed her Corner Sofa right... at the corner of her house which it sits comfortably so that she can share it with her friend... or someone else. But since this is the PG version, it is only for friends. 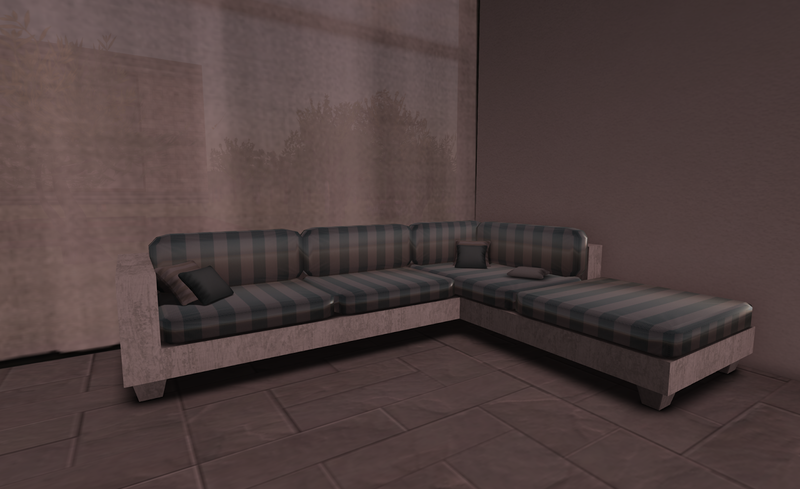 There are many textures and in fact you can even change the pillow and the sofa separately. The PG version is nice when you have guess who does not go itchy hand clicking on your menu, but of course you can also locked it so that it can be used only by you or by a selected group of users. 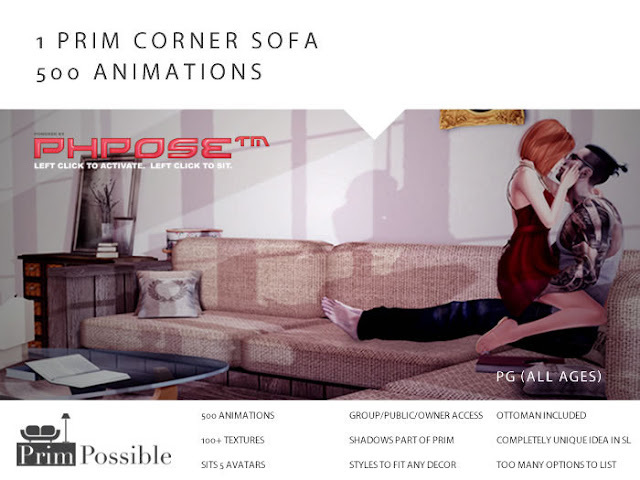 There are a total of over 500 animations in this sofa, but if you have the adult version, it would have over 900 animations. Notice there is also a shine on the sofa? Well, because you can make it shine using the menu and there are a lot of different color and texture. This is one of Kitty's favorite with Red and Black as the main color. Even a superheroine need a break sometimes and where is it better than the Corner Sofa from PrimPossible? The Sofa is not all just for sitting and chatting, if you feel too tired or simply maybe just like Kitty being lazy, you can feel free to just lie down and sleep on the sofa. That is why is it made big enough for you to comfortably take a good nap there. Now, let's give Kitty some time to rest while you shop for the new Corner Sofa or get your upgrade from the creator!